(NEW YORK) — A few days ago, several bulbs went out in a lighting system at Piedmont Triad International Airport in Greensboro, North Carolina. The lights were part of an instrument landing system for inbound aircraft, some of the criteria pilots use to guide planes onto a runway, especially during bad weather, an airport facility representative said. Fortunately, air traffic controllers were able to guide the plane to land. The controllers are considered “essential,” even though they work for the Federal Aviation Administration (FAA) — one of the many agencies subject to the partial U.S. government shutdown. Air traffic controllers are currently reporting to work, despite the uncertainty of a paycheck on Jan. 15. Planes rely on lights to guide them onto the runway, and while they are normally repaired quickly, a government shutdown means those type of fixes could be delayed, according to Ryan Hampton, an air traffic controller and a representative for the controllers’ union, told ABC News. “We can do our jobs safely. As long as the controllers are coming to work, we’ll do our jobs and the average passenger will arrive safely without putting passengers at risk. But the system relies on several moving parts, not the least of which are the air traffic controllers that are human and subject to the stress of anybody else would be in this type of situation,” Hampton said. Maintenance workers, aircraft certification specialists, engineers, infrastructure workers and others in positions key to air travel safety are also furloughed, the National Air Traffic Controllers Association (NATCA) executive Vice President Trish Gilbert told ABC News. The partial federal shutdown is on its 12th day, with President Trump and Congress at impasse over Trump’s campaign promise to build a wall along the Mexican border. The shutdown is hitting U.S. air traffic controllers particularly hard because their numbers are already at a 30-year low, according to NATCA. The number of fully certified ATCs, as they’re called, is 10,500 — the union would ideally like to have 2,000 more. And approximately 2,000 ATCs are scheduled to retire this year. The mandatory retirement age for ATCs is 56. 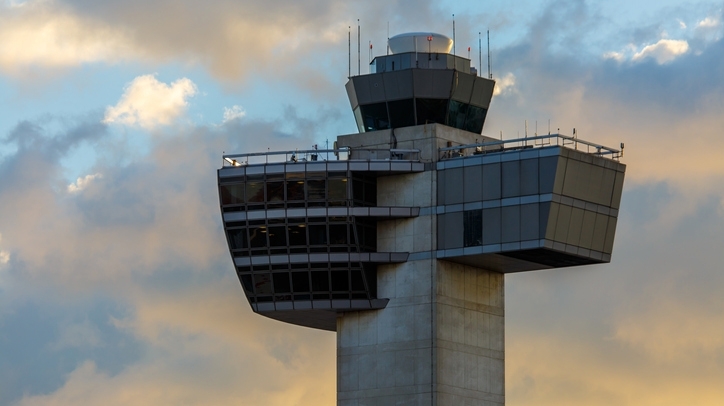 “Air traffic controllers and the technicians who maintain the system continue to work. The nation’s airspace system and airports are fully operational and continue safely to do so,” a spokesperson for the FAA told ABC news in an email. Even though full-time ATCs are working throughout the shutdown, the existing shortage means they’ve been working six-day weeks and many hours of overtime at an “already stressful job,” Gilbert said. Their last paycheck was on Dec. 31, but the timing of their next paycheck is uncertain. All training for ATCs has also been halted as a result of the shutdown, further disrupting the new ATCs who are desperately needed, according to NATCA. “Almost half of our controllers are not fully certified,” she added. Out of 31 ATCs “on the board,” Hampton said, 13 are still in training. The dwindling numbers of ATCs was already on the radar of Mark DeSaulnier, a congressman from Northern California, after a near-crash at San Francisco International Airport in 2017 involving an Air Canada jet. In the meantime, NATCA reported another example of lights in an instrument landing system going out this week at Westchester County Airport in New York state. If this keeps happening, a NATCA spokesman said, the flights will have to be spaced further and further apart or diverted to land at other airports, causing more delays and disruptions.